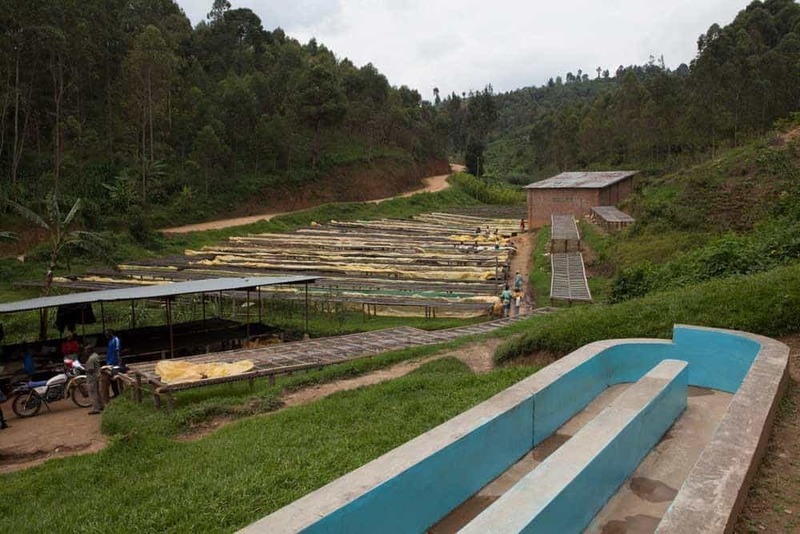 The Nyungwe Washing Station was acquired in 2014 by The Rwanda Trading Company. Purchasing the washing station has provided the farm with new opportunities to select top quality micro-lot coffees from high altitude communities. 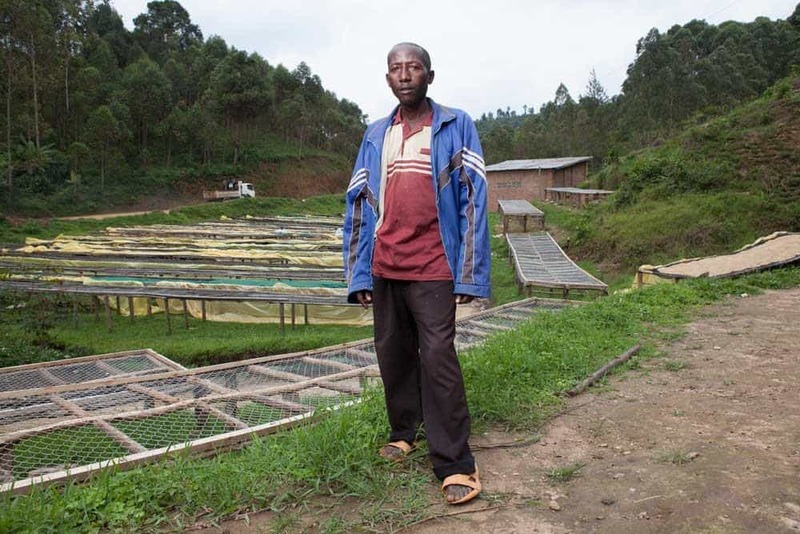 Since Rwanda Trading Company took on Nyungwe, initial investments have been made in a rebuilding much of the washing station infrastructure with the inclusion of a brand new Penagos eco-pulper which uses 80% less water than the previous machines. The lots are dried for 5 weeks on raised beds. The process and moisture are very controlled to avoid over fermentation of the coffee. The lots differ in the stage of the season at which the ripe cherries have been picked. Once dried to the perfect moisture content, they are then delivered to the mill where each lot is categorised and cupped to analyse the different flavour profiles inherent in each individual lot. 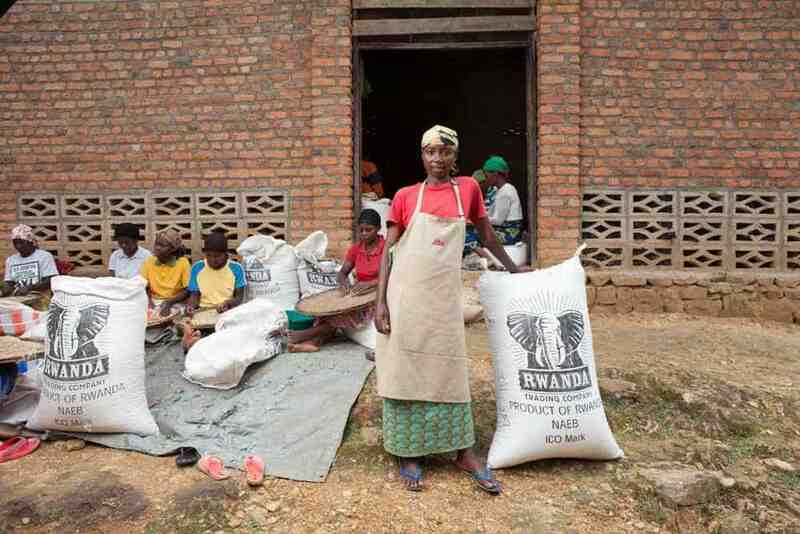 The farmers receive two payments for their coffee; an initial payment when the cherry is delivered, followed by an end of season bonus when a further payment is made depending on the prices that have been achieved for their coffee. The Red Bourbon varietal when roasted offers a flavour profile of cranberry, orange, and cocoa. Nyungwe washing station currently serves some 546 smallholder coffee farmers who grow bourbon at altitudes of between 1,660 and 2,100 masl. Some farmers are located up to 10km from the station and as such 12 collection points have been established in order to reduce transportation difficulties for the growers. This also protects the quality of the freshly picked cherry by reducing the possibility of fermentation before pulping at the station takes place. Rounton Coffee Roasters is run by a very small team — two Daves, Guy, and Tom. Those four together make magic behind the scenes with all the flavour profiles they create. Dave Beattie (Dave #1), who also founded the company makes sure things all run smoothly behind the scenes. Dave Burton (Dave #2) takes care of sourcing green coffee and working with their wholesale accounts. He also does some of the production roastings as well. You will mostly find him at The Granary in front of the 10kg Toper, roasting away. Guy roasts the majority of the coffee and is in charge of quality control. From time to time, you will also find Tom roasting the coffee, but he also runs the Barista Skills Course for all of their wholesale accounts. If you are interested in this course, they’ve also opened it up to the public. 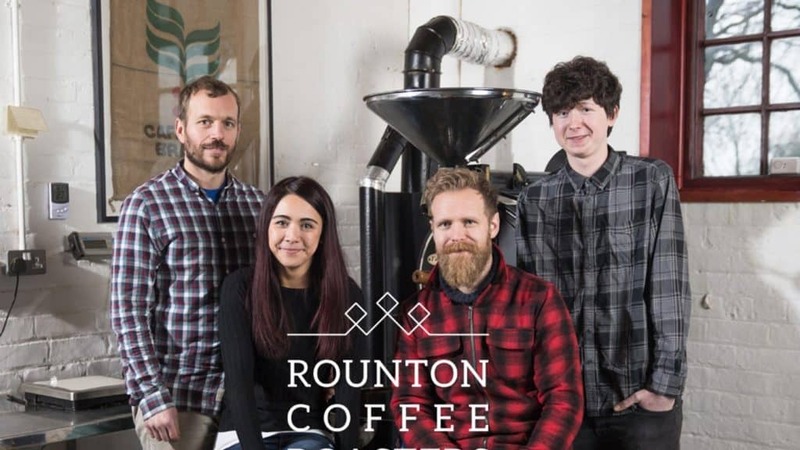 Tom also takes care of the social media and marketing for Rounton Coffee Roasters. To experience full flavoured coffees like the Rwanda Nyungwe blend, be sure and sign up for a Blue Coffee Box Subscription. Click for more details and to find out how you can get your first box.